Stars never come. They arrive! From the time the limousine stops dramatically at just the right spot to let the star walk tall in her haute couture to the flashlights getting switched on and the buzz around hitting a new high, ita��s one big a�?momenta�� for the star. In a few seconds, the TV cameras zoom into her outfit, hair, the Cartier Tank Americaine wrist piece, the two tone black onyx pendant, the Swarovski clutcha�� before you know, the stara��s diva like quality has hit you. In those brief seconds, the star establishes her new fiefdom in the style world. But thata��s just one face of fashion you get to see. On the other side are brainstorming sessions, discussions, co-ordination and execution by dedicated professionals who are painstakingly putting together everything to complete the look. If youa��ve loved Kangana Ranauta��s look during the promos of her latest movie Katti Batti, ita��s perhaps because her stylist Anaita Shroff Adjania had an understanding of the stara��s affinity for the new Jonquille special edition floral finger ring to her obsession for the Kade110 Jimmy Choo stiletto. Yes, the a�?celeb stylista�� processes every bit of information to put the a�?looka�� together. Hyderabad is a busy place for stars and events and not surprisingly, the growing tribe of stylists are engaged throughout the year working for the stars. If youa��ve gasped at tennis star Sania Mirzaa��s uber style quotient at the JFW Women Achievers last year or marveled at actress Tamannaah Bhatiaa��s impeccable choice of ensemble and accessories for the IIFA Utsavam earlier this month, dona��t forget to give credit to the stylists. But frankly, is styling a big deal, after all? We speak to five celeb stylists who let us read into the pages of their high heel confidential journals. Fashion designer-turned-celeb stylist Manga Reddy says, a�?For a movie we need to understand the character first as the costumes tell the audience 50% about the character. With practice comes speed. Now it hardly takes two or three hours for me to finish the look, be it for the movie or for a red carpet event of the movie.a�? She takes negative feedback in A�her stride. Talk about tantrums thrown by stars, and she says, a�?Thata��s the reason I stopped doing for movies and switched to celeb styling as it is easier to work when I know the person. Asin was too fussy and after working with her for a movie, I decided not to work with her again. Celebs dona��t compromise even for the smallest of the matters.a�? The toughest design for her was the futuristic costume in the movie Varna for Anushka Shetty. The dress was made of tiny lights which depicted how clothes would look like 50 years from now. I had a tough time adjusting the tiny bulbs as the clothes cana��t hold such things. But I designed the dress in half a day.a�? 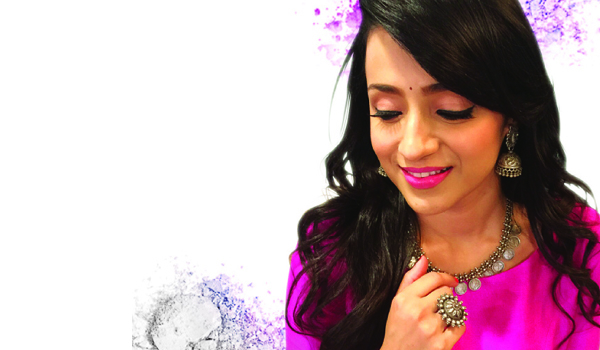 She currently styles for top anchors Suma and Anasuya for events, especially audio and trailer launches. a�?I have a rapport with them and I understand them as a person and the kind of fan following they have on stage and social media.. So, ita��s easy to give them the look that goes with their personality.a�? Manga loves to have a series of meetings to describe the entire look to her client before she designs it. 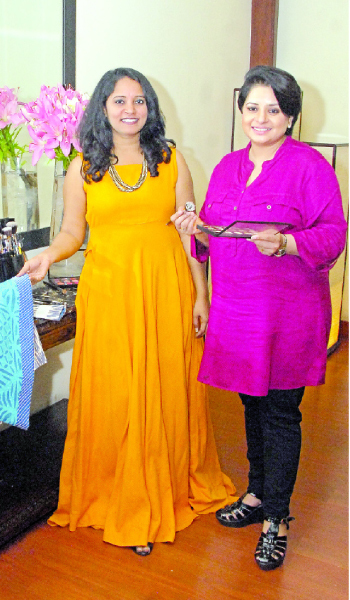 She sources out her things from local and Mumbai designers and loves to go for trusted brands for accessories. Tamanna started off as a make-up artiste whoa��s worked hard to give razor sharp look for celebs like Kareena Kapoor, Asin and Hyderabada��s sensation Sania Mirza. She recalls how some shoots and looks are offbeat and call for a different set of sensibilities. a�?If for example therea��s a PETA campaign, we have to see if the celeb will be styled as an animal trapped in a cage. Depending on that the clothes, shoes, make-up etc are chosen,a�? says Tamanna whose first love is make up. She respects the fashion police, calling such comments a healthy way of criticism, a�?Media is vigilant and thanks to their coverage, fashion has gone steps ahead. Creativity now finds a new platform.a�? 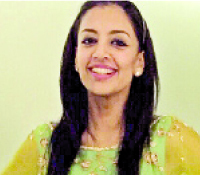 She says that she considers herself lucky as she did not have to face any tantrums by any celeb. She says, a�?Stars are down-to-earth people, perhaps a bit crankier because they are busy and under pressure and public scrutiny. My personal favorite is actress Sridevi who shares her lunchbox with people around her. I find it comfortable working for such stars.a�? Talking about looks she says that Tollywooda��s Akhil Akkineni post the launch of his debut movie loved the photo-finish look she did for him. 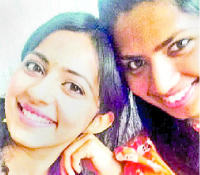 A graduate in merchandising and marketing, this Hyderabad-based stylist and costume designer for Telugu stars typically travels abroad with a film crew when she has to style the stars for photo shoots, film numbers etc. Neeraja has watched the stars at close quarters, thanks to her brother and Telugu film story and dialogue writer Venkat Kona.a�?It takes a personal relationship and genuine interest to best portray your client to mirror your personal style along with their taste. Depending on when we know about the event, we are lucky to get enough heads up to work on a look. I need at least a week to work on a look for an event, but thata��s not usually the case. We are always firefighting. I source from various designers, from the most established to the newcomers. I am constantly on the lookout for different pieces and styles. It takes over a 100 calls, messages, WhatsApp texts and videos before I finalise the entire look.a�? She likes her brief to include the basic information such as time, date and nature of the event for styling. The real challenge is to ensure that her client stands apart. On mediaa��s fashion police she responds, a�?Well the fashion police or blogs out there are all a way to gauge and compare styles and better the game of styling. I think fashion and style are such fun things that if someone really likes a look that has been worn already, ita��s a challenge to style it differently in their own style.a�? And she feels lucky not to have faced any celeb tantrums. A certified image consultant, Shweta took to styling two years ago in Hyderabad. A professional who globe-trots almost half of the month, says , a�?Minute planning goes into putting together the final look. I work on the outfit, the accessories, the hair, the make-up. Each detail is preplanned. The brief given has the details of the event, the kind of audience expected, venue, the number of hours he/she is expected to carry that look, etc.a�? She detests the fashion police as she believes that each and every individual has his or her own choices and preferences and obviously carries them off accordingly. She says, a�?The fashion police giving their verdict is always something that can never be fully justified.a�?A�Has she ever dealt with celeb tantrums? a�?Thata��s nothing. Stars are pretty much like us. They have to deal with a lot of pressures because of their public life and if at all there is any tantrum, it is situational.a�? She is still waiting for the tough look to come that can garner appreciation.